ARKONA celebrated its 10th anniversary with a special concert at the P!PLE Concert Hall in Moscow. Supported by numerous guests, for example a 9-piece choir, a string quartet and two background vocalists, the band classics were turned into real monuments. Furthermore, the interplay between typical folk instruments and the metal foundation gives Arkona its unique character. Once more in the center of the attention is frontlady and mastermind Masha Scream, who pushes herself and the band to the limit. Tracklisting: #### DVD 1: 'Az´' 'Arkaim' 'Ot Serdca k Nebu' 'Goi, Rode, Goi!' 'Leshiy' 'Zakliatie' 'Marena' 'Liki Bessmertnykh Bogov' 'Nevidal' 'Kolo Navi' 'Slavsia, Rus´!' 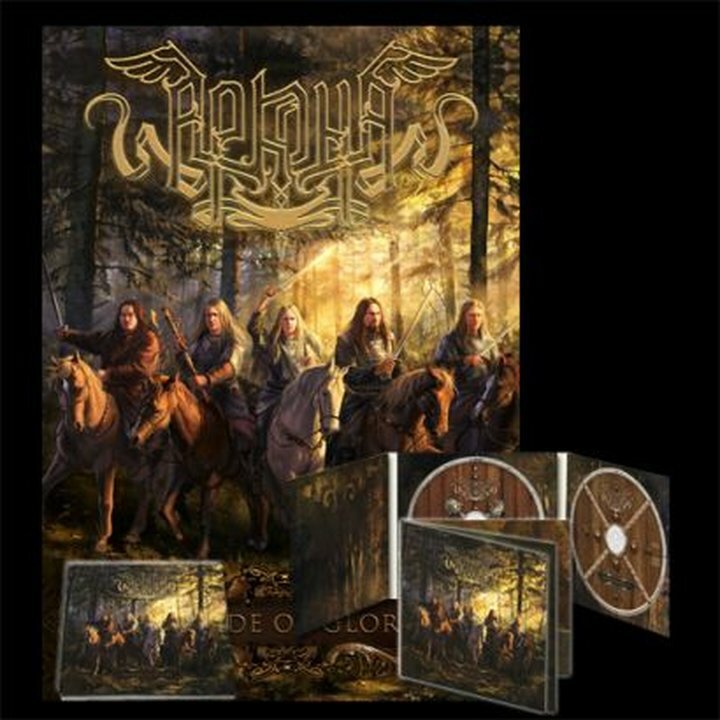 'Kupala i Kostroma' 'Odna' 'Sva' 'Kupalets' 'Katitsia Kolo' #### DVD 2: 'Kolyada' 'Skvoz´ Tuman Vekov' 'Maslenitsa' 'V Tsepiakh Drevney Tainy' 'Slovo' 'Bol´no mne' 'Pamiat' 'Arkona' 'Po Syroi Zemle' 'Oh, Pechal´-Toska' 'Yarilo' 'Stenka na Stenku' 'Vyjdu Ja Na Voljushku' 'Rus?' 'Zov Predkov'.